Voters in the Fishtoft area have received their postal ballot papers - but may not realise that for electoral purposes the Fishtoft Parish Council area is split into two wards, the Hilldyke Ward and the Village Ward. 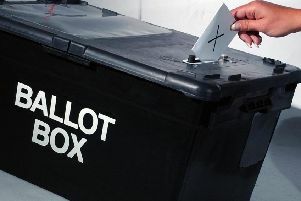 An election is to be held for the Village Ward of Fishtoft Parish Council on May 7. However, in the Hilldyke Ward fewer nominations were received than seats available, so an election will not be held in that parish area. Helen Staples and Margaret Ordway were elected uncontested to the Hilldyke Ward and will continue to serve on Fishtoft Parish Council after May 2015.